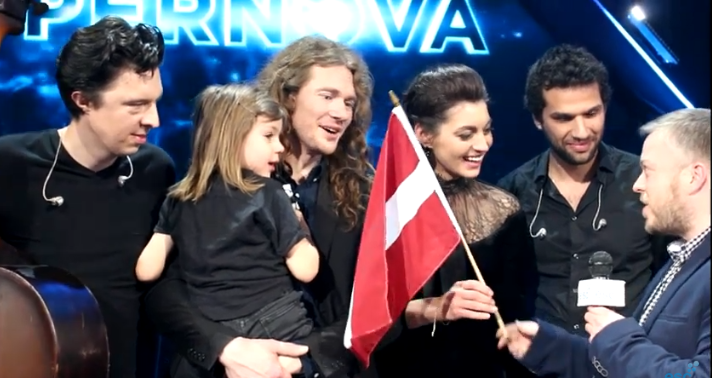 Last night saw the conclusion of Latvia’s pre-selection process ‘Supernova’, and the duo ‘Carousel’ fought off the competition to win the Latvian ticket to Tel Aviv. As soon as the show finished we spoke with Sabine and Marcis to ask them their first impressions and about their plans to celebrate. For Marcis it was a particularly good day, he also finished in third place with his band Laime Pilniga, and it was his birthday! Are you happy with Latvia’s choice?, let us know in the comments section below. First impressions of Zala Kralj and Gašper Šantl after winning EMA 2019!